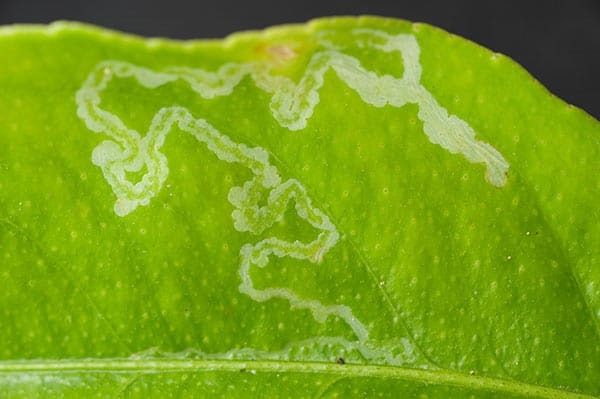 Vegetable leafminer is a small black fly with a bright yellow spot on their thorax; the maggot makes long, slender, white mines (tunnels) in leaves. Mining or puncturing activities on the plant causes cosmetic damage and makes it an important pest. The larvae are often visible within the mine where they remove mesophyll between the surfaces of the leaf. The act of laying eggs and feeding on leaves can kill seedlings.